IBM Company has developed a line of cloud computing, business and security analytics packages and it is entrusted $1 billion in financing over the following 18 months to assist SMBs purchase them. The new system financing and offerings will be delivered by means of channel partners that now IBM exclusively relies on to service customers of SMB. 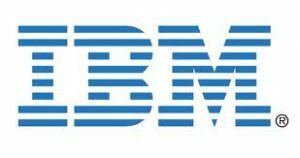 As Vice President, Marketing, IBM Midmarket Business, Ed Abrams said they appreciate the contribution of the growth of these mid-size as well as small business may give to the economic recovery. Additionally to the financing, Abrams stated that adopting the new business and cloud analytics technologies should also improve SMB’s growth prospects. He revealed that 65% of worldwide GDP is made by SMBs. More than 30 altogether packages are built around IBM’s SPSS and Cognos business analytics software, Cast Iron cloud integration software, Netezza data warehouse appliance and BigFix security management tools, etc. Those will be connected with IBM system software, server hardware such as IBM services and IBM WebSphere, according to what Abrams said. IBM will provide loan packages and flexible lease, some so low percent financing for 12 months. Abrams added that Rapid Online Financing tools by IBM would help partners to generate sales proposals quickly and get credit approvals for clients’ prospects. The new effort bases on initiatives that IBM launched earlier this year, together with one especially targeting cloud computing as well as another built around product line of IBM’s Smarter Commerce.